MEGAUPLOAD FOUNDER KIM Dotcom suffered a major setback in his epic legal battle against online piracy charges today when New Zealand’s Court of Appeal ruled he was eligible for extradition to the United States. The German national, who is accused of netting millions from his file sharing Megaupload empire, faces charges of racketeering, fraud and money laundering in the US, carrying jail terms of up to 20 years. Dotcom had asked the court to overturn two previous rulings that the internet mogul and his three co-accused be sent to America to face charges. Instead, a panel of three judges backed the FBI-led case, which began with a raid on Dotcom’s Auckland mansion in January 2012 and has dragged on for more than six years. The court said US authorities had “a clear prima facie case to support the allegations that the appellants conspired to, and did, breach copyright wilfully and on a massive scale for commercial gain”. Dotcom is accused of industrial-scale online piracy via Megaupload, which US authorities shut down when the raid took place. They allege Megaupload netted more than $175 million in criminal proceeds and cost copyright owners $500 million-plus by offering pirated content including films and music. “We are disappointed with today’s judgment by the NZ Court of Appeal in the Kim Dotcom case,” his lawyer Ira Rothken tweeted, indicating there would be an appeal to the Supreme Court. 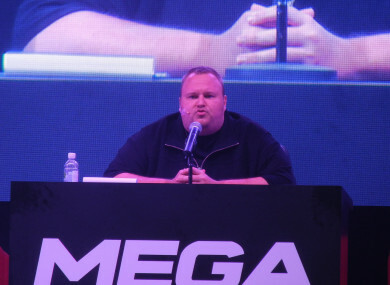 Dotcom and his co-accused — Finn Batato, Mathias Ortmann, Bram van der Kolk — have denied any wrongdoing and say Megaupload was simply a case of established interests being threatened by online innovation. At its height in 2011, Megaupload claimed to have 50 million daily users and account for 4% of the world’s internet traffic. Email “Megaupload founder Kim Dotcom suffers setback in his fight against extradition to the US”. Feedback on “Megaupload founder Kim Dotcom suffers setback in his fight against extradition to the US”.